The listening tour will consist of six stops throughout the state and provide an opportunity for educators, school technology and assessment coordinators, and school district administrators to share information about recent challenges related to the online delivery of state assessments. Each meeting will encourage feedback on how the state can continue to improve its assessment; a discussion of steps made to-date to improve test administration in 2018-19; and a conversation on ways to improve test delivery through the oversight and selection of the state’s next assessment partner, which will occur later this school year. Haslam and Tennessee Department of Education Commissioner Candice McQueen will attend each leg of the tour. 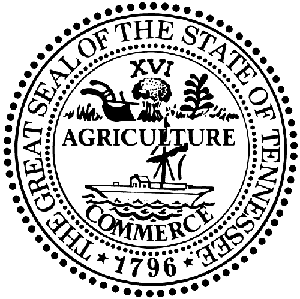 Haslam has tapped former long-time educator, and former executive director of the Tennessee Organization of School Superintendents, Wayne Miller to facilitate the listening tour meetings and outcomes. Dr. Mike Winstead, the current Tennessee Superintendent of the Year and Maryville City Director of Schools. The listening tour will begin Friday, Aug. 24, in Knoxville and be followed by stops planned for Hamilton County, Shelby County, Williamson County, Greene County and Gibson County. Specific locations and times are being finalized. Following the listening tour, the next phases of the process will include implementing feedback from the listening tour, refining the requirements of the state’s next assessment partner, providing on-the-ground oversight of the fall test administration, and developing opportunities for feedback from educators and stakeholders.